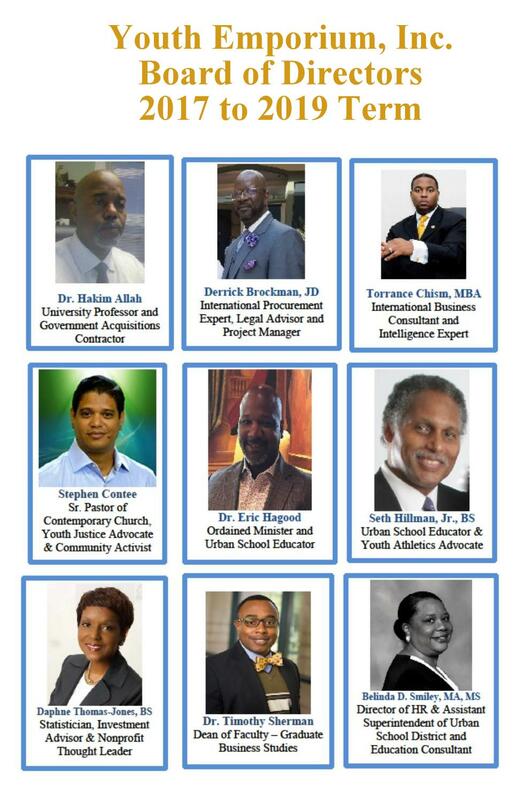 Youth Emporium's Board of Directors is comprised of a group of dedicated professionals with a true commitment to their fiduciary duty to our organization. Their unique blend of skills not only complement our service offerings, but allows Youth Emporium to address current trends and emergent challenges that arise. Within the Board are several committees. They include Education, Legal-Legislative, Training and Advocacy. The individual board members have been aligned with the committee that best suits their skills and professional interests. The Board allows Youth Emporium to connect with community and to respond to global challenges that may impact the youth culture. It is their active role on the Board that ensures the integrity and efficacy of the organization's programming.